We often see how geometric forms of the building underlines the different modern architecture designs. Indeed, this also provides different dimensions and allows the client to fully see the various areas of the house. Today, we will see how the designer amazingly built and designed a private residence named 8A House. 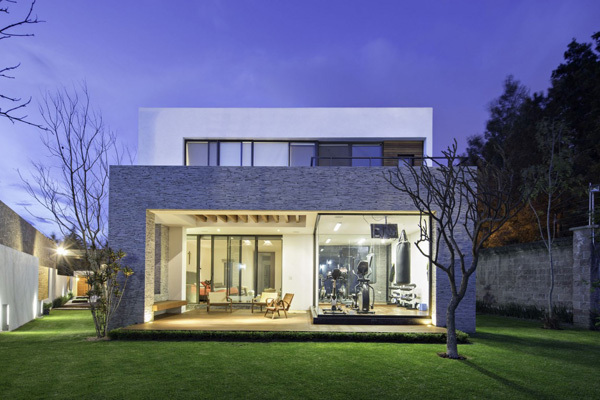 This house is actually located in a piece of land with irregular shape that is why the designer see to it that its forms will complements with each other. 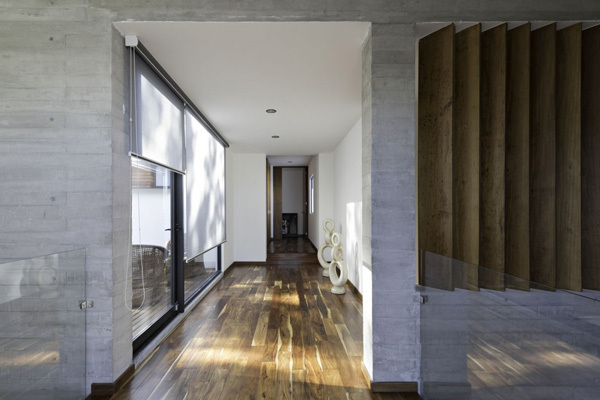 Well, this 8A House was originally planned to attain the best orientation for each space, and it resulted to different external zones that also turned into terraces that allows the natural light in the interior. 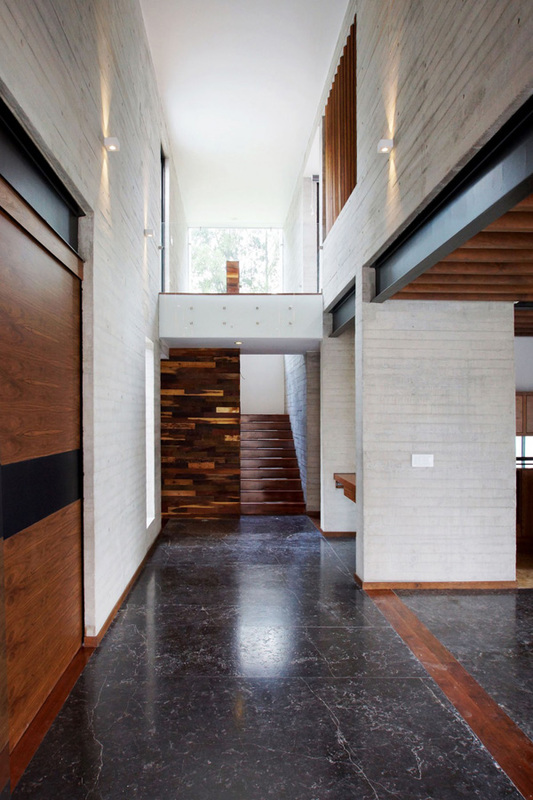 As we can see this house maximized the materials namely concrete, marble, and wood, glass, natural stone, steel, etc. These materials helped in defining the details and character of the interiors. Let us scroll down the page and see the different areas through the images below. 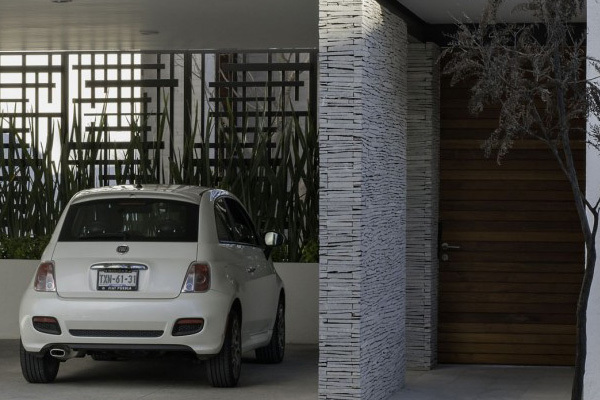 Even in the garage area, the forms and dimensions stand out in this house building. 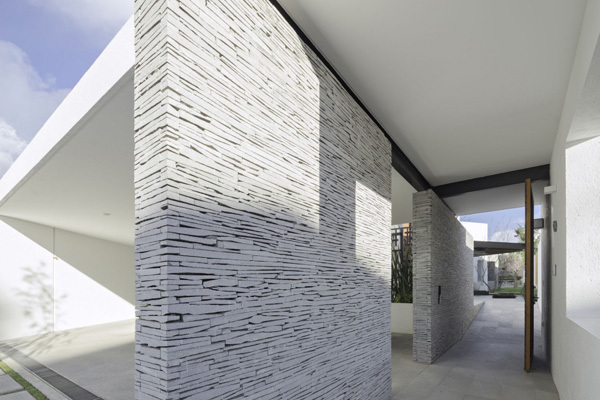 Smooth and rough textures displayed in the entrance speaks of contemporary concept. 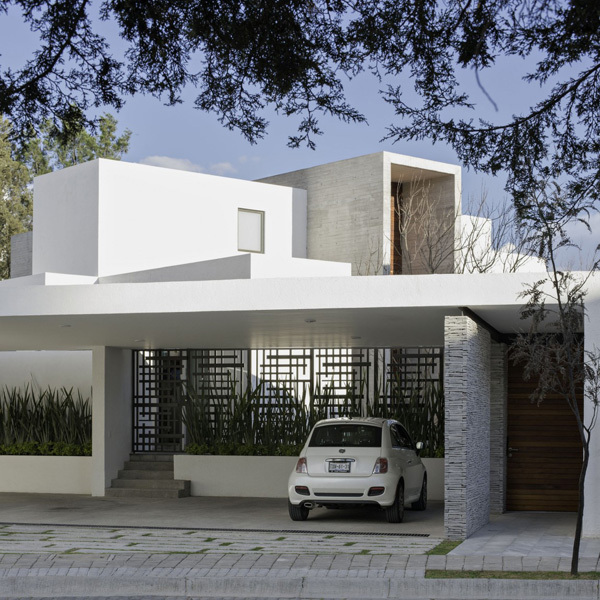 Sustainable light are always welcome both in the exterior and interior of this house which unfolds its natural beauty. 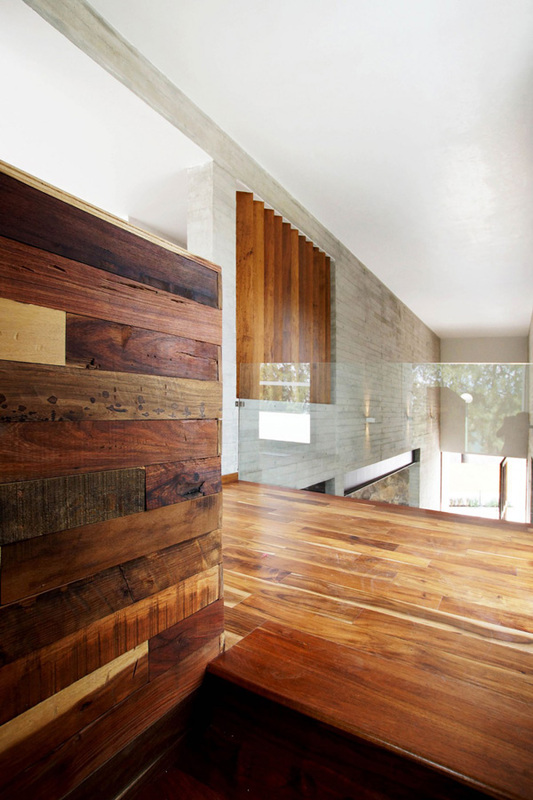 Look at the texture of the natural wooden floor in the interior that simply connects the indoor to the outdoor elements. 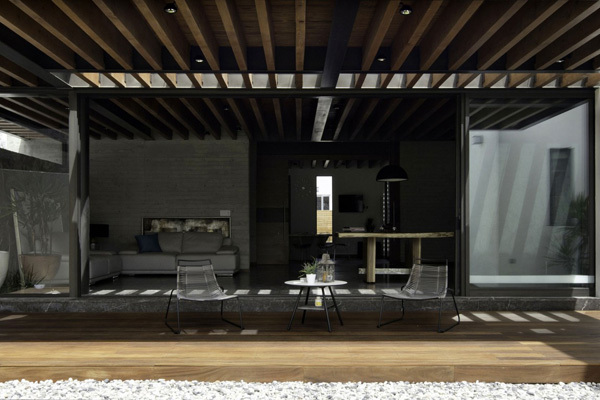 Open layout and transparency are also important in ensuring the comfort and sustainability in this area. 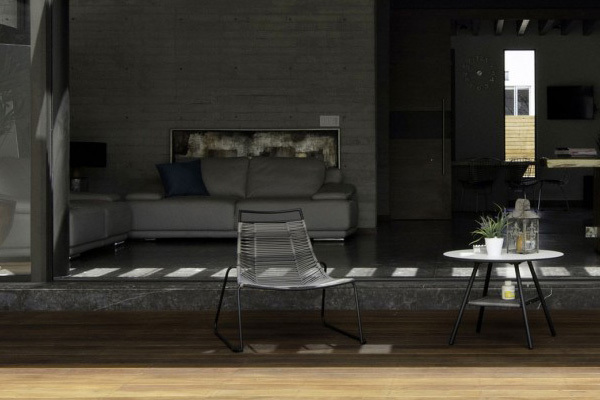 As we take a closer look at this modern and unique feature of the chair, we can say that this perfectly jives with its concept. 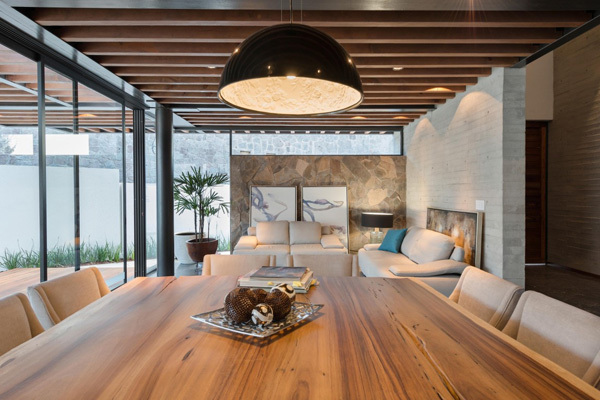 This round black lamp hanged in the dining table match with the colors and design of the other furniture in the living space. Here’s the modern and spacious kitchen in the house where the client can freely move and cook the best food for his family. 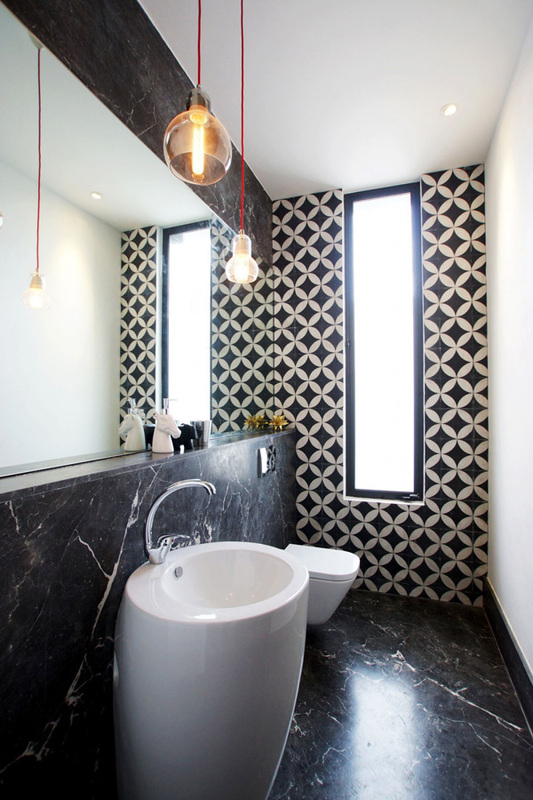 The mosaic tiles and bricks elements in this area accentuated the theme and style of this interior. 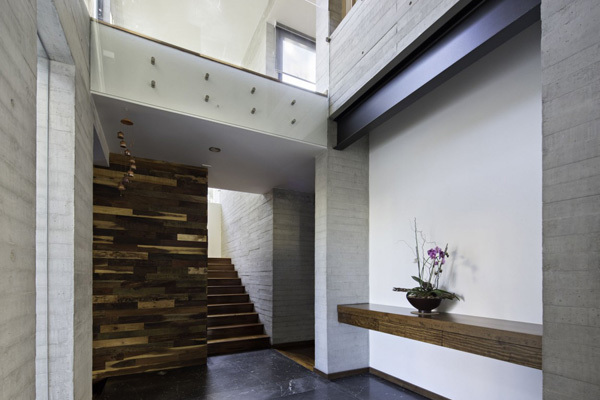 We can definitely see and feel the lines and textures from the walls and floors in the staircase area here. At the second floor, this wooden elements revealed from the walls and floor defines the essence of its natural characteristics. Here’s the wooden brown and grey bathroom that highlighted its relaxing and comfortable effect to the client. 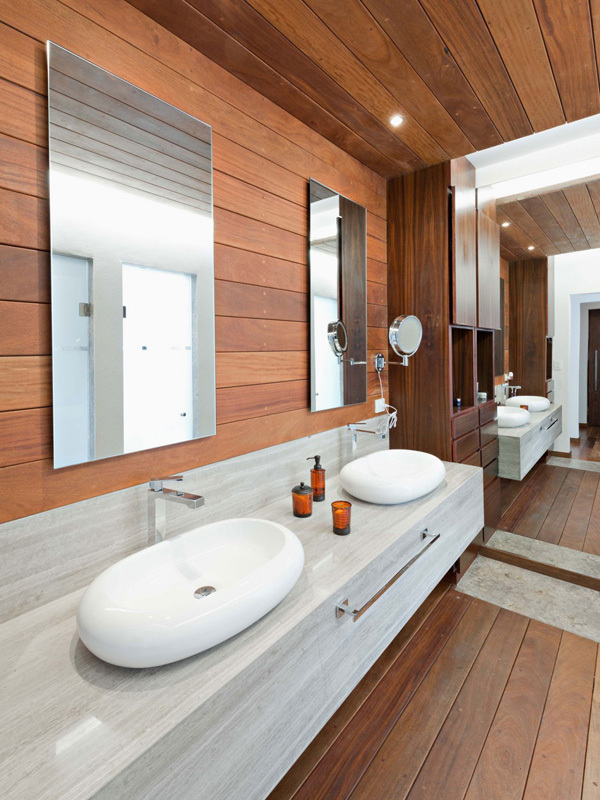 Here’s another bathroom in the house that displays its modern fixtures that jives perfectly with the incredibly designed patterns in the wall. Even at night, the green landscape in the garden speaks nothing but elegance and charm. The designer also utilized the importance of plants in the exterior that plays the natural and awesome space in the house. 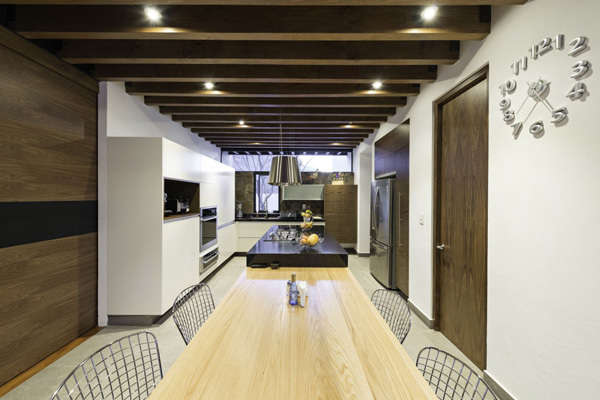 With the set of images above, we can see how Dionne Arquitectos carefully choose the best materials and elements in the house. 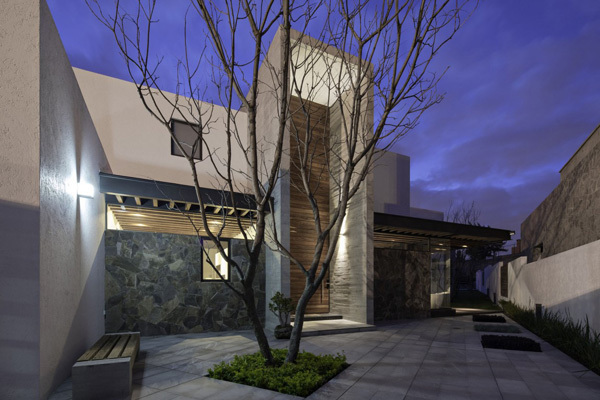 These elements obviously emphasized the exceptional features of the house. The textures that also contrasted the different experiences offered in different spaces always provide comfort and warm to the client. Indeed, the client experienced he real sense of comfort and elegance in this private house. We hope that you also appreciate that feature in this house.